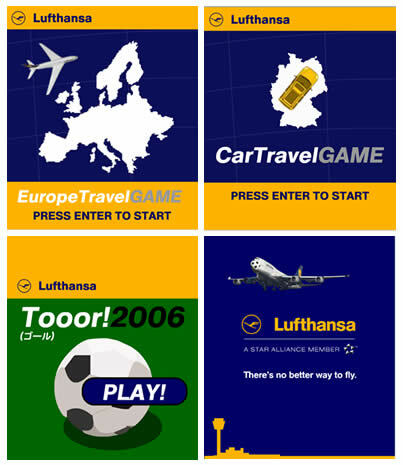 Just by searching airlines company i found Lufthansa airlines, japan mobile site. Intrestingly it contains Adobe Flash lite content like wallpaper, Games, animations. Cool!! that’s super cool !! And it’s my favorite airline too! !